Have you applied and been refused for disability insurance benefits or have your disability insurance benefits been terminated? Long-term disability is a benefit included in insurance policies that protects people productive in society that suffer from injury and can no longer perform their duties at work. Being denied or terminated from LTD benefits can be a very emotionally and financially stressful time in your life. Navigating through this time in your or a loved one’s life must be taken with care and being properly educated on the subject, the facts and the affected individuals situation are paramount to the success of a claim. Most claims are denied or terminated because the insurance company claims that the insured person does not meet the definition of disabled. 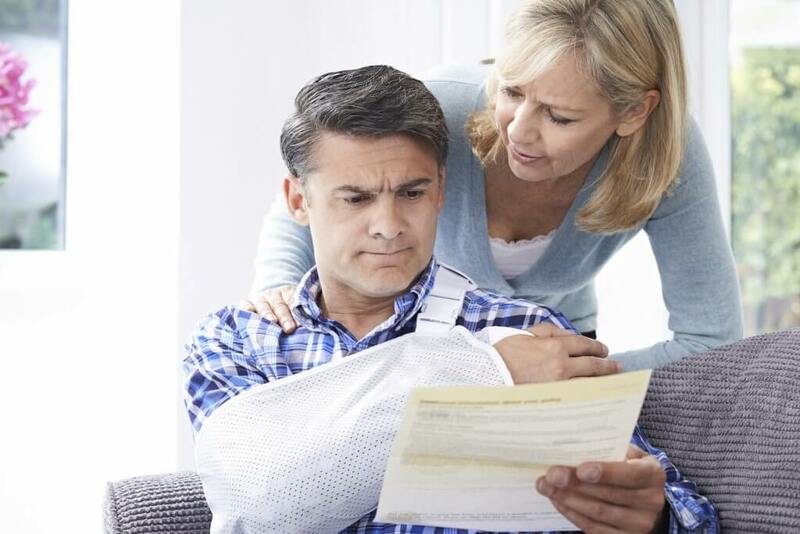 We understand how upsetting it can be to be injured or suffer from an illness and be denied benefits after you have paid into the disability plan or insurance policy premiums. In the case where you have been an insurance policy holder which included LTD benefits, it is likely that you are still eligible to receive benefits moving forward. Each case will vary depending on the individual and their specific circumstances. The courts recognize these in their decisions to mandate insurance companies to pay benefits out to those based on the situations individuals face. It’s common that clients will approach us after their benefits have suddenly been terminated after a period of 2 years. This happens due to the insurance company changing the definition to which they consider the benefits of the policy holder to be applicable to and limited to a 2 year period. However, this does not mean that you or someone you know is not entitled to LTD benefits in the future. We have insurance to protect us in the event of a loss of some kind or another. In the area of disability insurance, the loss we’re concerned about is our inability to work and earn an income to support ourselves and our families. This can be a very confusing area for people. Sometimes we have disability insurance through our employment and other times we have private policy with disability coverage. And there are different elements to insurance coverage, because you can have a private policy through one of the major insurance companies, but you can also have specific coverages. For instance, many people have Canada Pension coverages through their employment. If you are involved in a motor vehicle accident, you may have coverage through Section B in your auto insurance policy. Some people will have specific disability coverages to insure their mortgages or other loans with a bank. The various types of coverages and the various interworking of these coverages with each other can affect the overall coverage accessible by you. This is because when you have one coverage, another coverage is deducted due to the overriding rules that govern insurance payments and coverages which are usually mandated by provincial statutes. In a broad sense, it should be understood that disability insurance can arise in a variety of circumstances. Usually we see this arise in motor vehicle accidents and slip and fall cases. Disability insurance applies for illnesses as well. You could have a long term working career and develop an illness over time. It could be a serious health related illness such as cancer or heart disease. It could also be a mental illness like PTSD or Anxiety that render you unable to continue with your employment. Most policies of long-term or ltd insurance policies have a variable definition. There’s a disability coverage, usually for the first 2 years, that’s often termed own occupation. That is, the individual is unable to perform the essential duties of their own occupation, which is for the first 2 years in most policies. This is for the occupation you were engaged in at the time of you went off on disability. Following that 2 year period, the definition then changes to an any occupation rule. At this point, the insurance company will no longer be responsible for ltd coverage, even if you can’t do your own occupation, because it is deemed you can perform some other occupation. It is determinable in court, whether someone is eligible to receive coverage for disability under any occupation. The test for eligibility in those circumstances, is whether you can perform the essential duties of any occupation for which you’re suited by means of training, education and experience. If you have been denied benefits by your insurer and are not being treated fairly, contact us to set up a free, no obligation consultation at one of our three locations to discuss your options.